Need something special to win over potential clients or thank your team members for a job well done? Everything But Flowers has a huge selection of elegant and impressive corporate gifts that will keep your business booming and people in high spirits. If you'd like to make a bulk order please contact our sales team. Corporate gifts are an important part of doing business because it strengthens relationships and shows people how vital they are to your organisation. Everyone likes to feel special and receiving a great gift can motivate people resulting in tremendous returns for your business, as well as create lasting impressions. Giving corporate presents is something every employee, manager, or boss has to do. Whether it’s the holiday season or a time for business celebration, corporate presents are a way of showing appreciation, encouragement, and camaraderie. The problem most people face is what gift to buy. There are so many kinds of gifts to choose from, and it’s hard to know what can be appropriate for the business setting. 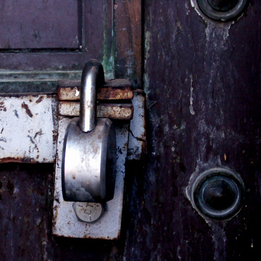 You’ve probably already considered a wide array of the usual gifts that people give as a habit. It’s important to go out of the box and think of something that your co-workers would appreciate. There are many reasons why people buy corporate presents. You might be buying for a co-worker or a client. Defining the purpose for corporate presents is the first step to choosing the right gift. Corporate presents are a staple in the development of great interpersonal business relationships. If you want to make more profit for your business, or to make your career boom, you always have to give quality corporate presents. 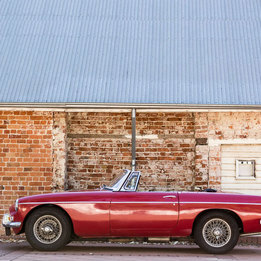 An elegant and impressive gift will go a long way in sealing a negotiation. Giving a beautiful champagne hamper or a one-of-a-kind experience as a gift is a thoughtful and flattering method of winning over potential clients. Just think of how they would feel. With high quality corporate presents, they would feel as if they are valuable to your company. New clients, or potential clients, would also feel as if they will be treated well in your company, and that’s why they would look forward to future negotiations. Similarly, giving corporate presents to your employees or co-workers can boost company morale. It solidifies friendships, and paves the way for smoother interactions in the future. When you give gifts after a hard business cycle, or even during the holidays, it builds relationships as well. It shows people how much you value them. And the right choice of corporate presents can also signify how well you know your co-workers, making them feel more understood and important. Lastly, you should buy corporate presents because they motivate your employees to work harder. This is especially important for teams who have worked hard over a project. It acts as a reward incentive for teams to work even harder in the future. Gifts show your appreciation and encouragement. One of the classic corporate presents you can give are wine and champagne gifts. Wine and champagne corporate presents are beautiful gifts for an important client, your boss, or a hardworking employee. They signify sophistication and maturity, and they also suggest a time for well-earned relaxation. Wine as corporate presents is a good choice to give to co-workers and employees. It can even be the prize in a corporate party event. If you’re considering buying wine as a gift, there are many vintages to choose from. The 2014 White Gold Moscato by Brown Brothers has a sweet taste with red berry accents, perfect for hot days. It comes in an elegant bottle that your employees will appreciate during the hot days. Alternatively, you can go for the Rose Gold Moscato which has a balanced spicy and sweet aroma. Buying for a special client or an outstanding co-worker? Get them the Special Edition Prosecco by Brown Brothers. This is the kind of gift that is a must-have for celebrations. Whether you have got a new client or successfully finished a project, this light drink, with bold citrus and apple and pear notes, is perfect for a celebratory afternoon drink. The 2014 Devils’ Corner Pinot Noir Vintage Twin Pack is also another wine gift you can give to your team. It comes in a double-pack, so there’s definitely more to share! There are many other wine gifts to choose from, with spicy to fruity to sweet aromas. All you have to do is consider the occasion and the people receiving them. Looking to impress a new client? Or buying for your boss? Champagne hampers are one step up from wine gifts. It’s better for bigger celebrations, and for rewarding the outstanding performance of teams. The classic gift for a person who loves to party or hangout with his or her family is the Red Wine & BBQ Hamper. 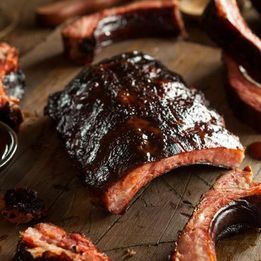 With a bottle of Pepperjack Shiraz, beef jerky, assorted spice rubs and more, it’s a great gift for backyard grilling. You can also get the White Wine and Nibbles Hamper as a more elegant gift for evening party hosts. 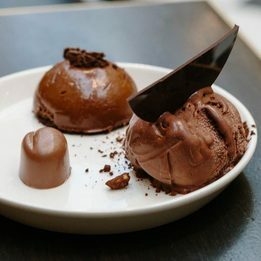 Something a bit more decadent? 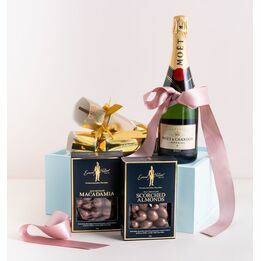 Try the Chocolates and Red Shiraz Hamper for clients or for your boss. 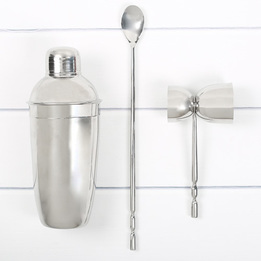 Your choice for corporate presents isn’t limited to elegant wine and champagne gifts. You can also go for more novel or personal gifts to encourage productivity and reward the team. For example, you can encourage productivity with high class work equipment, like the 100% leather Artex Black Work Capsule and the Artex Designer Desk Mat. You can also give your teams an incentive to work harder on their projects, sales or accounts by giving them fun corporate presents. Consider the Terminator Paintball Experience Package. It’s a fun and adventurous package that’s sure to keep them on their toes. Paintball is also a great way to build teamwork. Lastly, you can give corporate presents meant to relax and reward. For example, Milieu Vanilla Wild Peach Candle by the Aromatherapy Co. is a soy and natural wax candle, with delicate elegance in its appearance and scent. It can certainly unwind your employees from the stress of work. Similarly, the Milieu Burnt Orange and Agave Nectar Diffuser has sophisticated tones that make it a great choice. What Are Some Corporate Present Ideas? Corporate presents are popular amongst Australian businesses, because it is the ultimate way to advertise your business and to be remembered. At Everything but Flowers, you can find countless corporate presents, so we are sure you can get countless corporate present ideas simply by looking at our corporate gifts catalogue. Select corporate gifts from the main menu to view some corporate present ideas immediately. What Are Some Corporate Christmas Present Ideas? 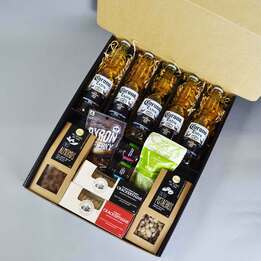 Over the holiday season, we usually recommend one of our corporate hampers as a Christmas present. Everything but Flowers provides countless corporate Christmas hampers, so you can easily find one that matches the businesses or businessman you want to send it too. Of course, Everything but Flowers also provides some wonderful hampers for businesswomen. Want some examples? 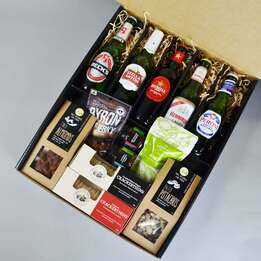 Check out some examples in our corporate hampers range. Where Can I Find Some Corporate Gifts in Australia? Everything but Flowers is the perfect place for Australian businesses to find the best corporate gifts. In our collection, you can find the finest corporate hampers, but also other presents such as experiences, champagnes, serving plates, customised leather items, and much more. So, if you need something unique, be sure to check out the available options at Everything but Flowers! Where to find the Best Corporate Presents? Overwhelmed? Don’t be! Everything But Flowers has a wide range of high quality corporate presents you can choose from. You have the convenience of filtering through the many options and having your gifts delivered from the comfort of your office or your home. Place your orders today and make your employees extremely inspired! Sending a special gift to celebrate a new cooperation, or release of a new product, to a business relation could be an excellent way to advertise your business. A corporate gift can also be used to reward one or multiple employees for a job well done, and creates a more fun and relaxing working environment. At Everything but Flowers, businesses can find numerous corporate gifts that could be used for this purpose, so if you want to do something different than normal marketing techniques and advertising campaigns, be sure to consider our corporate gifts and their unique benefits. The corporate gifts at Everything but Flowers may contain many different items, so there is usually something suitable for everyone. We provide wines for wine lovers and connoisseurs, but also assortments of gourmet nibbles for the foodies amongst your business relations. However, if you wish to reward your employees, you could also use one of our experiences. You and your sales team could spend the day paintballing in one of Australia’s most exciting paintballing circuits, or you could reward your best employee with a scenic helicopter flight. Whichever gift you choose, businesses can certainly benefit from corporate gifts long-term. If you would have to describe the main preferences of Australian men, beer and barbecue would certainly belong to the top five. 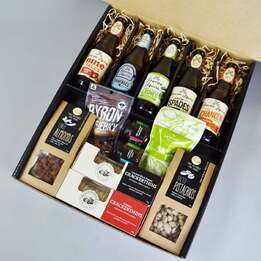 Therefore, choosing a gift from our beer and BBQ range for a male recipient is a pretty safe option. 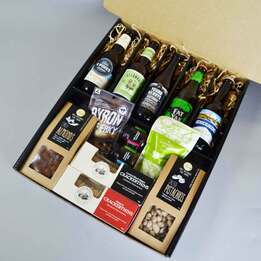 Every year, the Everything but Flowers team starts looking for the best beer and BBQ gifts, so Australian men can receive a beer or BBQ gift they have always dreamed of! The search of the Everything but Flowers team has certainly paid off, because our range of beer and BBQ gifts contains some wonderful products. 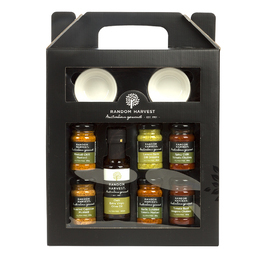 When you shop in our range of beer and BBQ gifts, you could take advantage of bestsellers such as a gift hamper filled with BBQ sauces and condiments, a double burger press, a genuine wooden carving block and more. Of course, we understand that it could be difficult to buy for someone who almost has everything where beer and BBQ is concerned. When you have such a recipient, simply pick one of the gift vouchers of Everything but Flowers, since this voucher allows your recipient to buy any of our available gifts, and prevents your recipient from getting a gift he already owns.